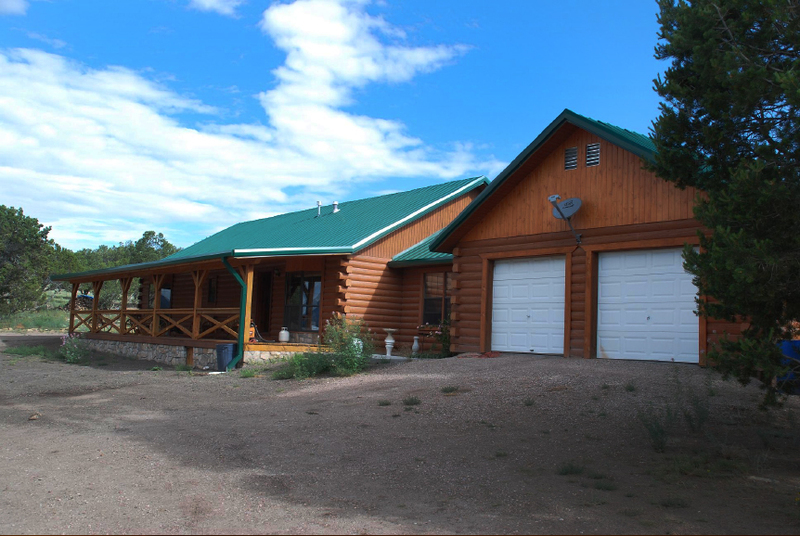 The main log residence sits on 5 acres and was originally priced at $495,000, but it is now in foreclosure and listed for only $ 244,900 (see MLS# 714466). 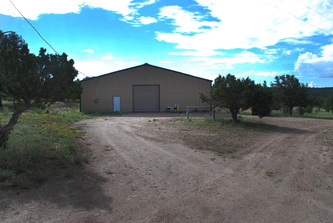 The remaining 155 acres are owned free and clear (see MLS# 695039). 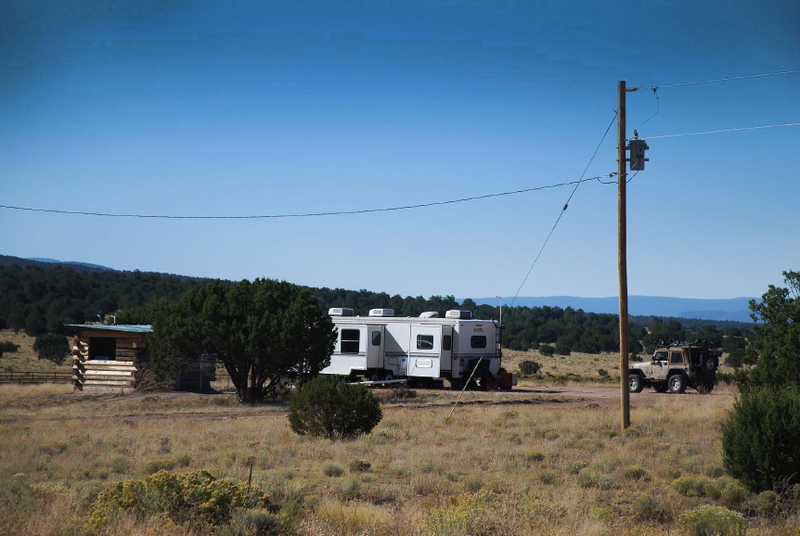 They contain a newer metal barn, a single-wide mobile home, wooden hay barn, 5 income-producing camper hook-ups, training corrals, plus all that on separate well. 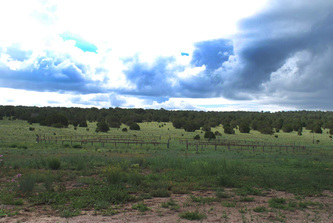 The 155 acres are offered for $ 275,000. 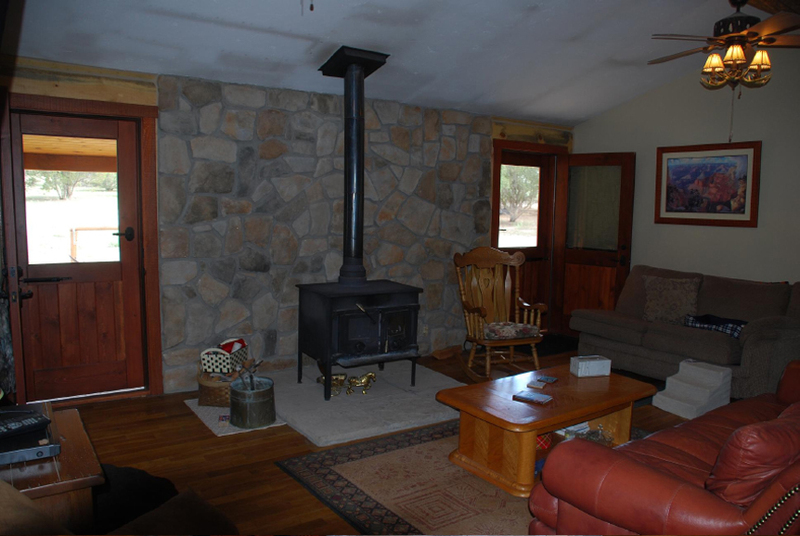 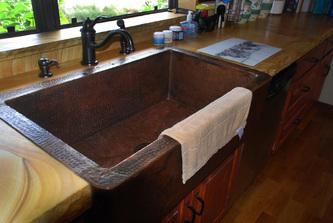 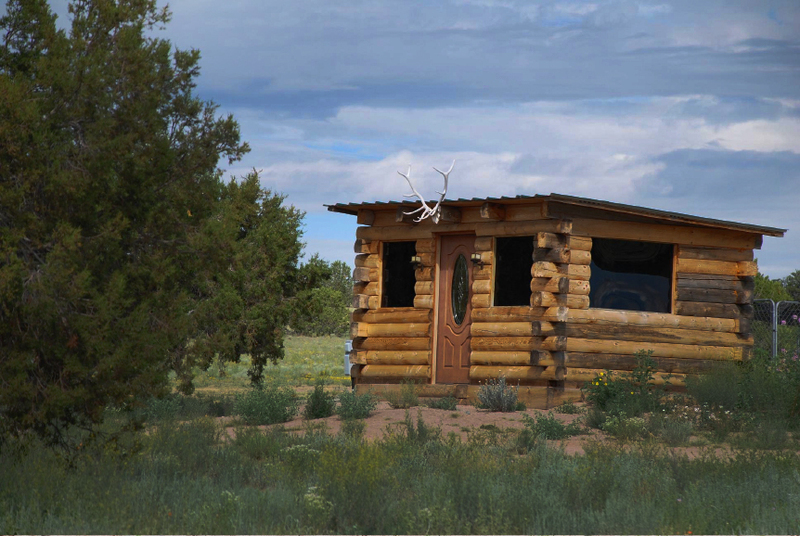 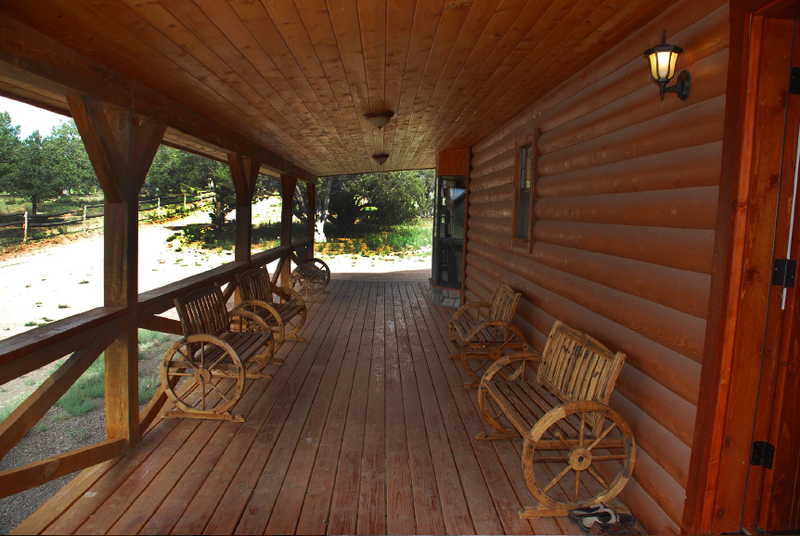 Custom Log Lodge boasts 3 bedrooms and 2 baths, and has every comfort including electricity, satellite internet, satellite tv, dvd, cd player, wood stove and additional propane heat. 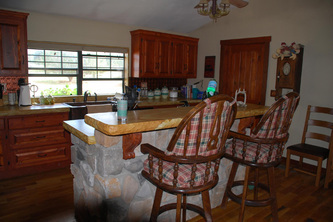 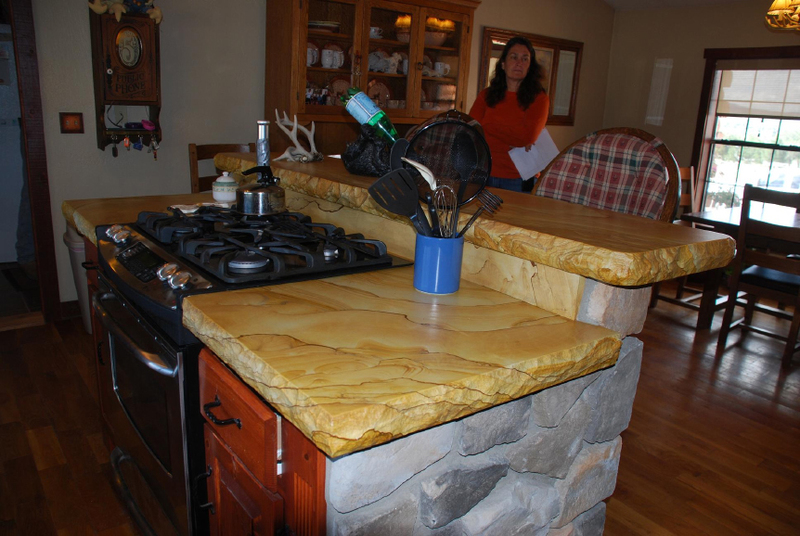 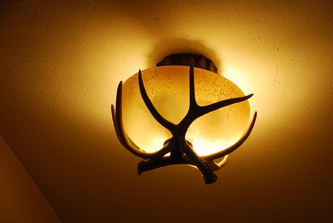 This ranch is a perfect hunting weekend retreat or permanent living place for an equestrian lifestyle. 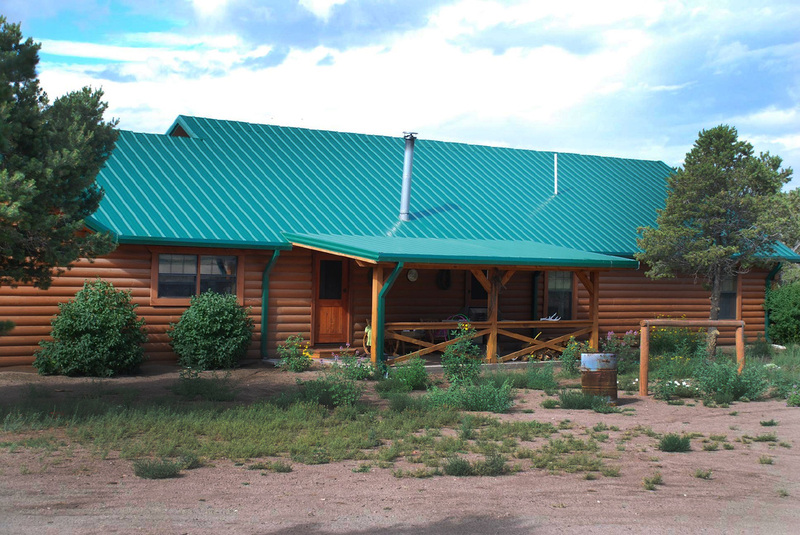 The ranch features gorgeous views from several of its locations onto Alegre Mountain and its Cibola National Forest surroundings. 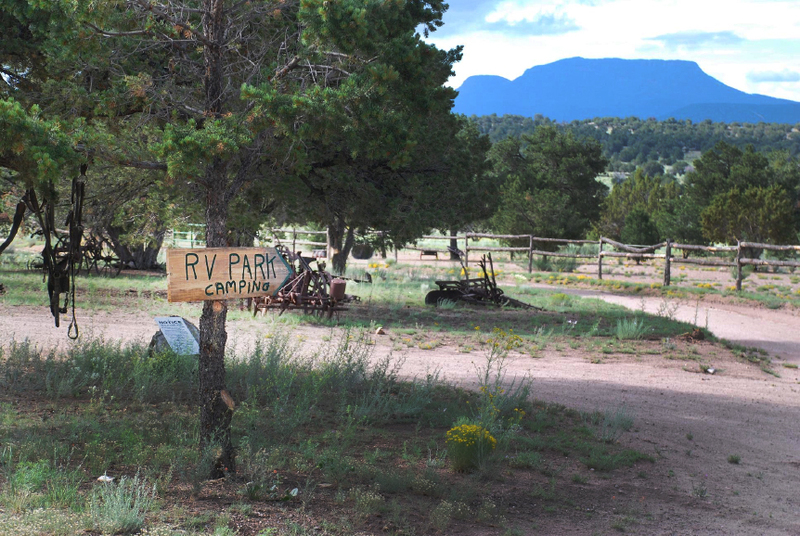 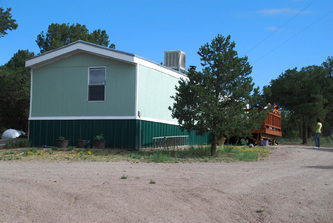 The ranch slopes down from the Lodge towards the south until you reach a green valley with nice horse training corrals and a log-built resting house with a shower and small kitchen, a barn, plus 5 excellent camper pads with hookups for training clients and friends. 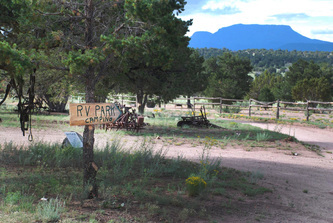 The hills to the east are wooded with pine, pinon and cedar, the remainder is well-covered with predominantly black gramma. 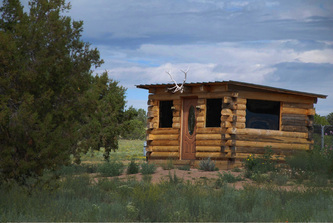 A section of BLM abuts to the east boundary, and a State section to the ranch’s south-east corner.